With Heatran not getting much heat as a raid boss, I wanted to offer a different look at this neglected Pokemon and to try to advocate his usage in particular PvP scenarios in Pokemon GO. Luckily, many moons ago, Smogon has published a guide about Pokemon teams that form “Three-type Cores”. Three-type cores are Pokemon triads that strongly complement each other’s type weaknesses and resistances and, in theory, they should give a Fire type with great resistances a potential role. With that in mind, let’s see how and if that principle could be reused in the Master / Ultra League by using Heatran as our Fire core. I just want to clarify one thing before we start: I’m not assuming that Heatran is a Pokemon worth powering up, nor that you should use it in PvP. This article is simply a thought experiment that explores the possibility of using Heatran in PvP. Maybe it makes sense, maybe it doesn’t, let’s find out together. Ultra League or Master League? Heatran is only available from raids and it can’t be caught below Level 20, which means it will be caught in the 2058 – 2145 CP range at least. Therefor, Heatran can’t be used in Great League battles. That beg’s the question, where and how should Heatran be used: the Ultra League, or the Master League? Heatran is easily outperformed and countered in the Master League, where stronger Fire types like Moltres and Entei are used. Groudon, Kyogre, Machamp, Rhyperior and even a Focus Blast Mewtwo are all very common in the Master League and Heatran will have a hard time trying to compete here. Truth be told, there are hardly any Pokemon that mandate using a Heatran as a potential counter in the Master League. Because of that, I don’t think you will gain anything by having a Heatran on your team. 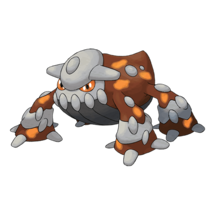 With sub par moves, three very easily exploitable weaknesses and lack of Pokemon that it directly counters, Heatran will be a burden rather than an asset in your ML team. In the Ultra League, Heatran’s biggest fear are Pokemon with (un)expected access to a Ground type attack and simply strong Water based attackers. Flygon, in particular, can be a nasty opponent with Mud Shot alone, not to mention Earthquake or Dragon Claw (typical shield bait scenario). Aside form Flygon, a huge number of Trainers has leftover Kyogres and Groundons that were caught as Level 20 catches and sit around the 2300 CP mark. Water types in this CP range are very common especially “fun-but-not-often-used” Pokemon like Poliwrath, Gyarados and even a Hydro Cannon Blastoise. As a result, Heatran can be heavily countered, without the opposing Trainer actually aiming to counter him specifically. If accidental renaissance is a thing, then accidental Heatran counters must be a thing as well. However, as Heatran doesn’t have a place in the Master League, let’s see how an exemplary team could look like in the Ultra League – despite a fair number of counters and unfavorable match ups. In this example team, Heatran serves as a Fire core, baiting the opponent to switch into a Water or a Ground type. Upon switching, the player has an option to switch into Venusaur in order to deal with the Pokemon trying to counter Heatran. We chose to go with Stone Edge because other Heatran’s charge moves don’t directly benefit his role on the team. Heatran takes care of Bug, Grass and Ice types with this move set, while also providing a reliable source of damage against Cresselia. Cresselia is a nightmare in UL, but luckily for us, she can only deal not very effective damage to Heatran. However, we must admit that this scenario is not clear cut and that Heatran will often lose to Cresselia provided that you both use optimal shielding strategies. If your opponent opens with a Lugia, Heatran has a chance to land at least one Stone Edge before getting KO-ed with Hydro Pump (or two if you shield through it). If your opponent starts with a Giratina, Latios or Latias, you can switch into Lapras and try doing some damage with Ice Beam, hoping that Giratina doesn’t have Ancient Power, or that Latios / Latias doesn’t have a SE charge move. 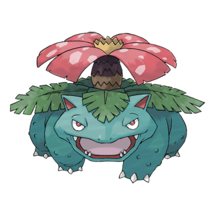 Venusaur can be replaced with a Meganium or with a Breloom, depending on your local meta game. Meganium has access to Earthquake Ground which can be a nasty surprise for your opponent, especially if he’s the one with a Heatran. Breloom is a fine Fighting type with access to Dynamic Punch and Seed Boomb, which are both great moves for reducing the shield count of your opponent. 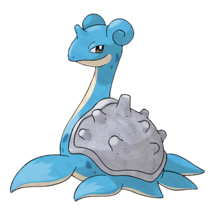 Lapras can be replaced with a Kingdra or a Blastoise. Kingdra is a Dragon / Water hybrid which can help you against Ancient Power Giratina, or to an extent, against a Fighting type like Machamp / Hariyama. Hydro Cannon Blastoise is an excellent shield burner with very little direct counters, aside from Venusaur and Zapdos. I’ve tried writing this article for almost three days in a row and I always get stuck somewhere. Heatran is simply not great in Pokemon GO, especially when you consider the current UL meta game. The Three-cores rule will help you get some coverage for its weaknesses, but it doesn’t help with Heatran’s move pool. Bug Bite is a dead move more or less, Fire Blast is strictly worse than other Fire type moves and Iron Head is not Meteor Mash. So, what’s the conclusion here? The conclusion is that Heatran is a challenging Pokemon to use on your team. It can be fun and even sometimes beneficial, but team building around its terrible move pool is very hard and very demanding. Maybe it’s just not worth it. The post Heatran in Trainer Battles: team ideas and Heatran’s role in the PvP meta appeared first on Pokemon GO Hub.